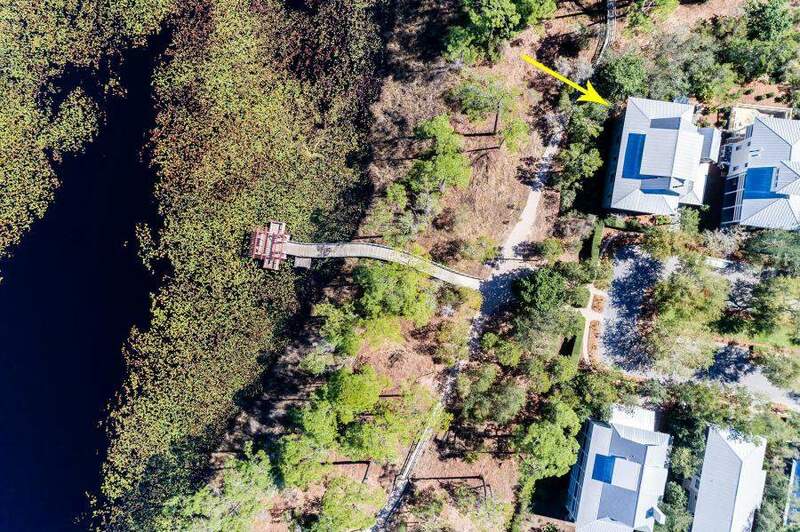 Home > Listings > 34 Viridian Park Dr.
A striking and exceptional home situated on one of the most extraordinary lots in Phase 1 of Watercolor, offering stunning views of Western Lake. 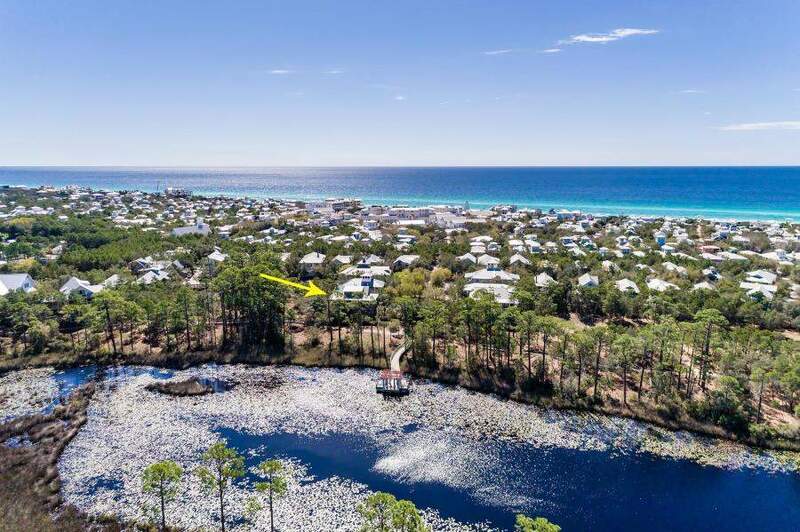 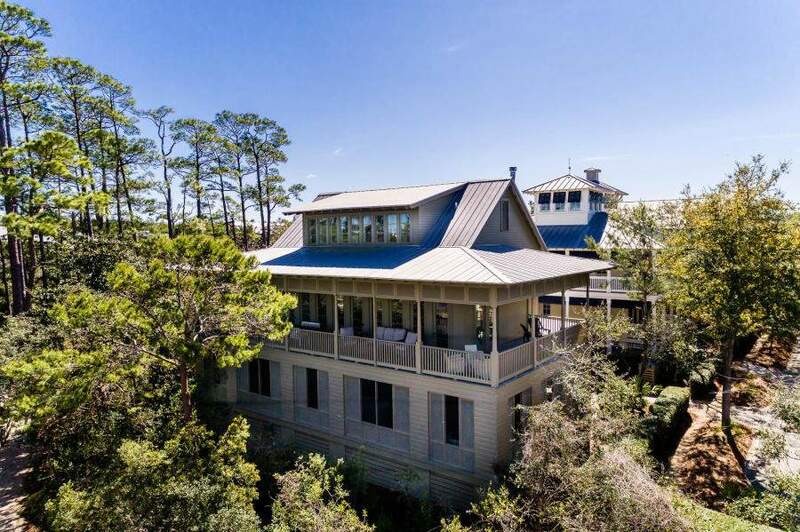 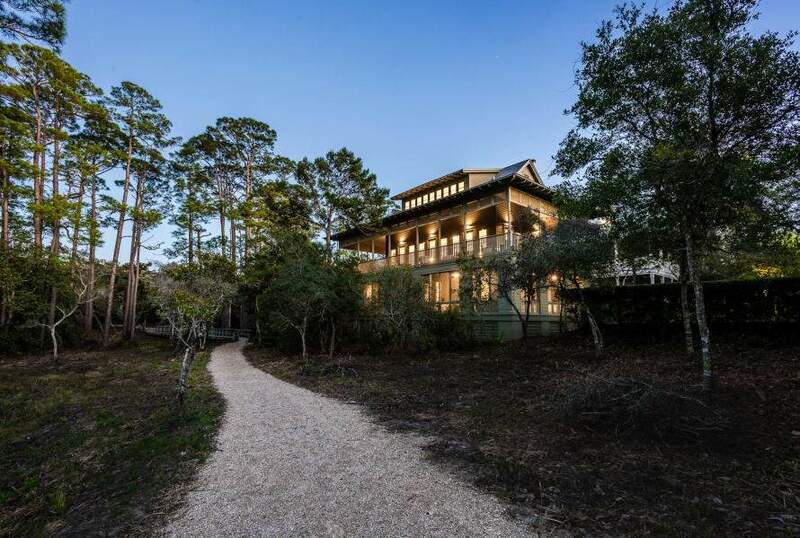 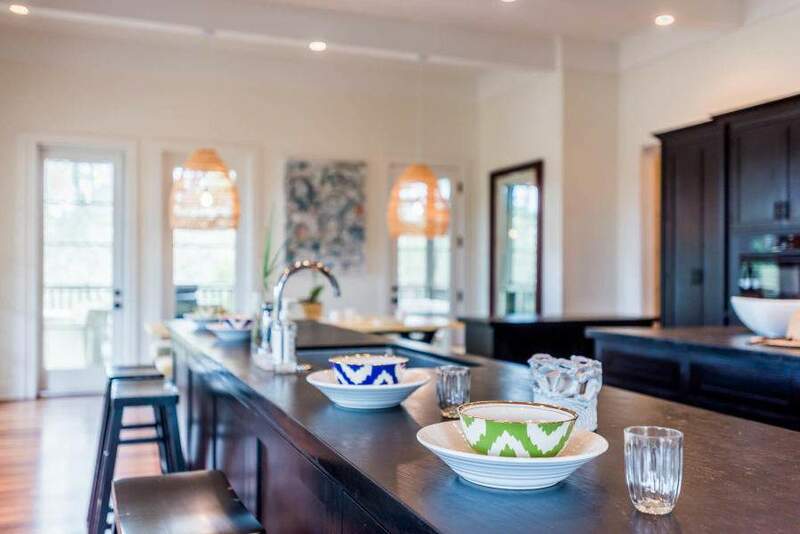 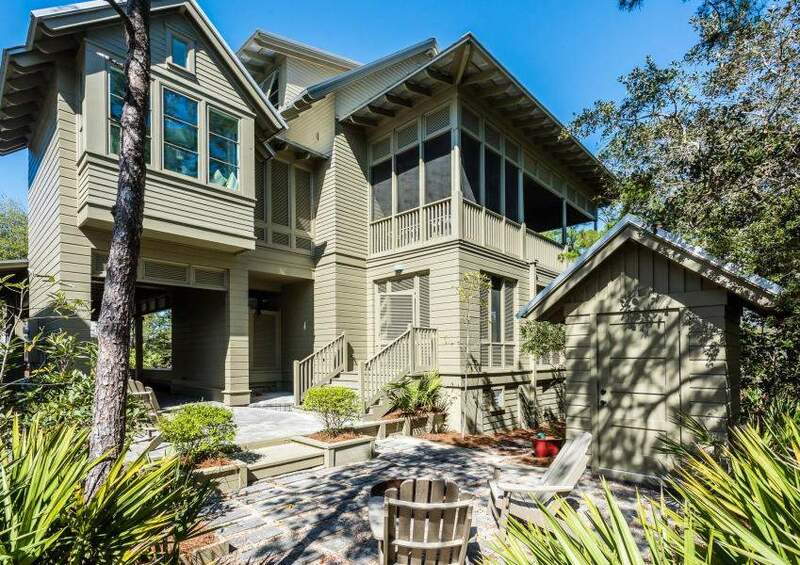 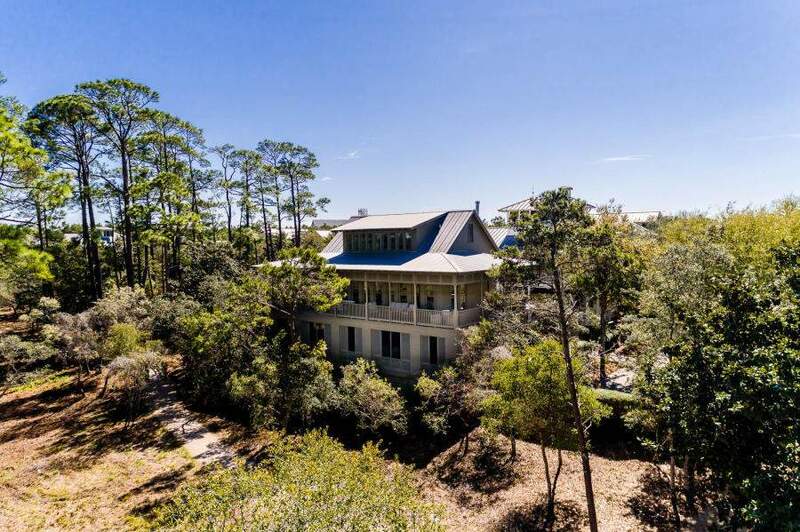 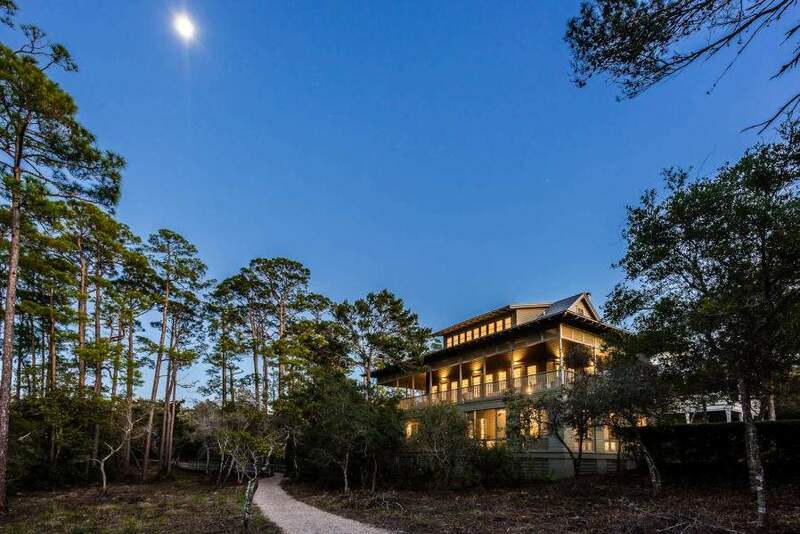 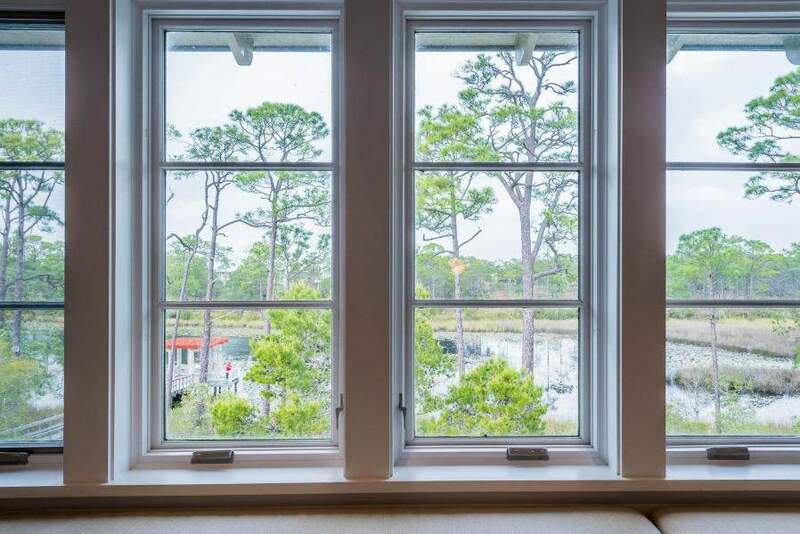 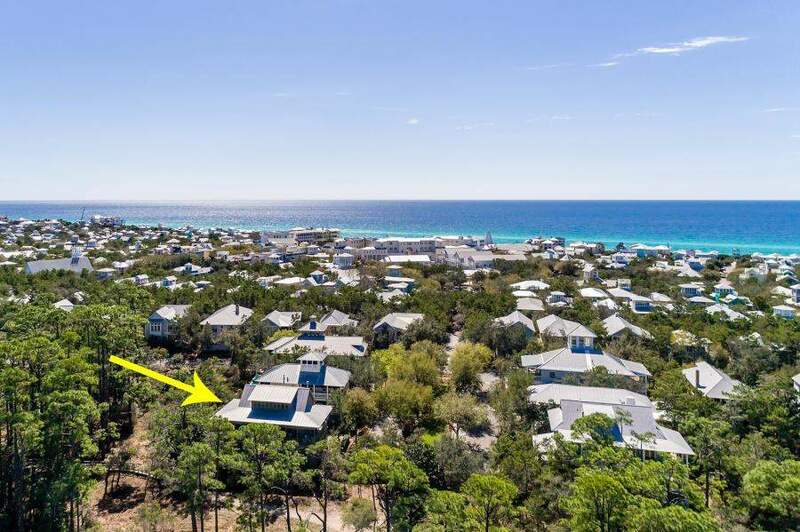 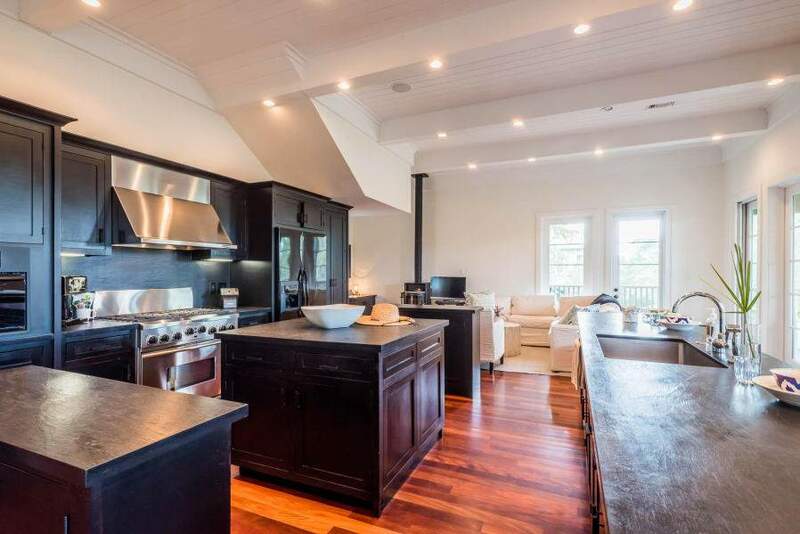 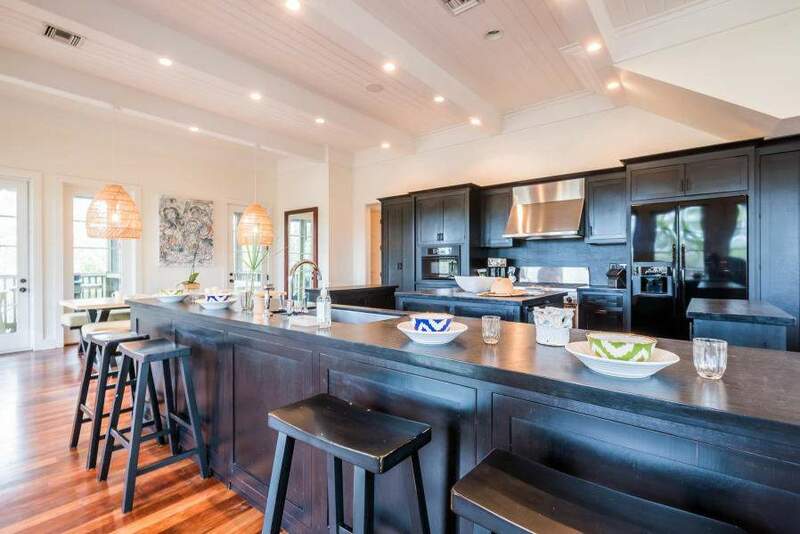 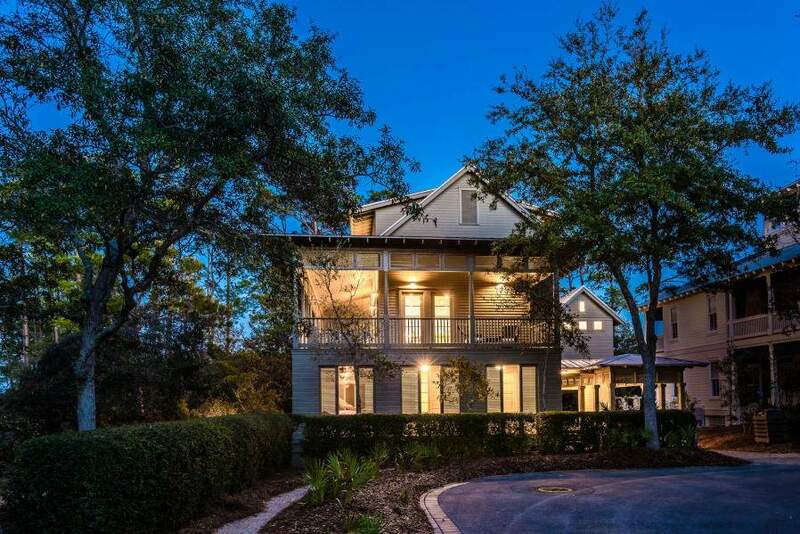 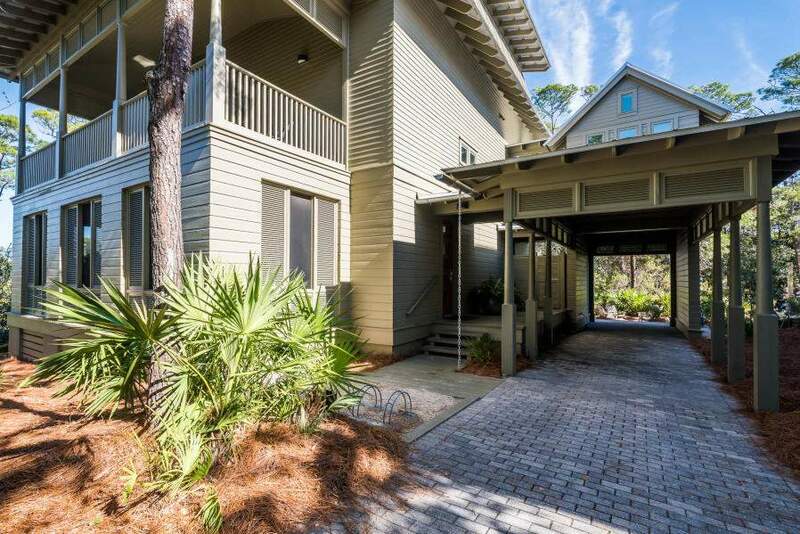 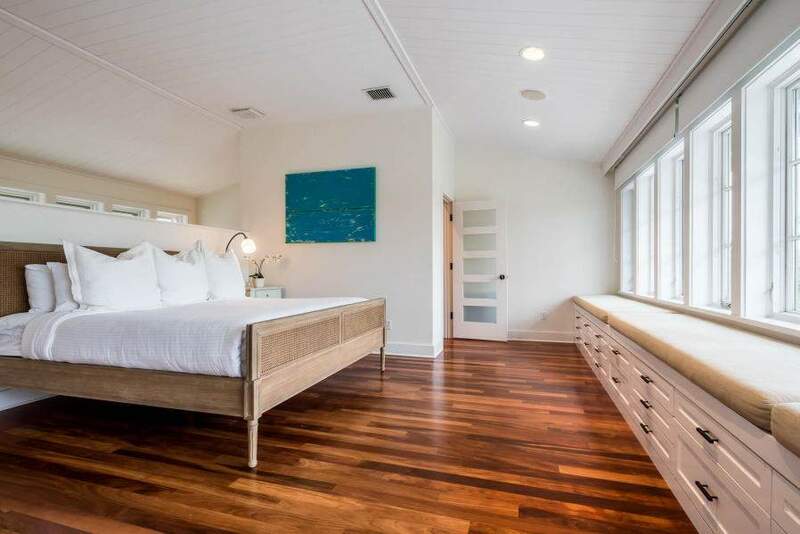 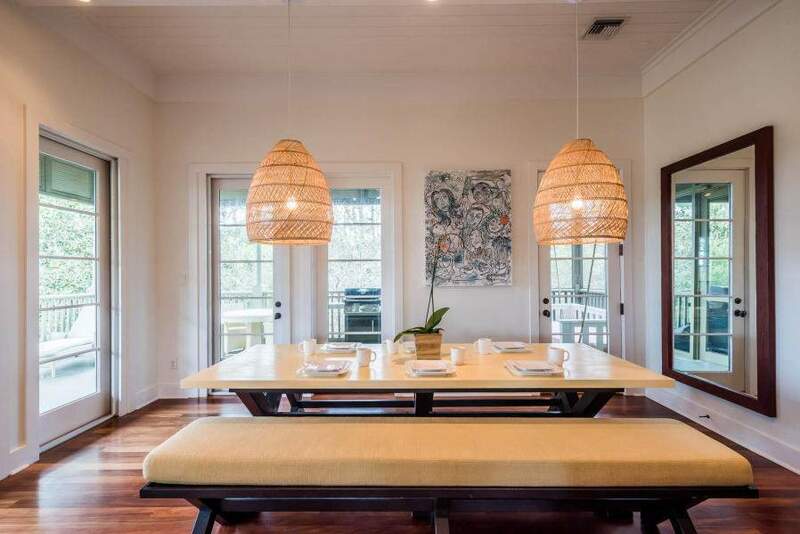 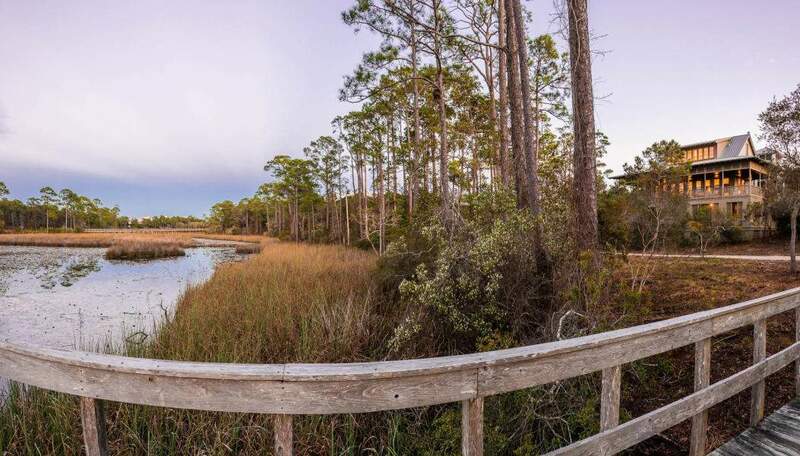 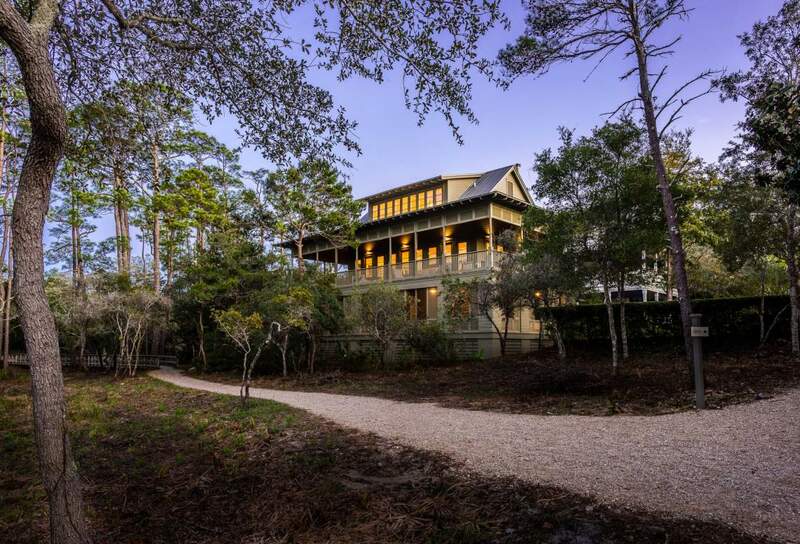 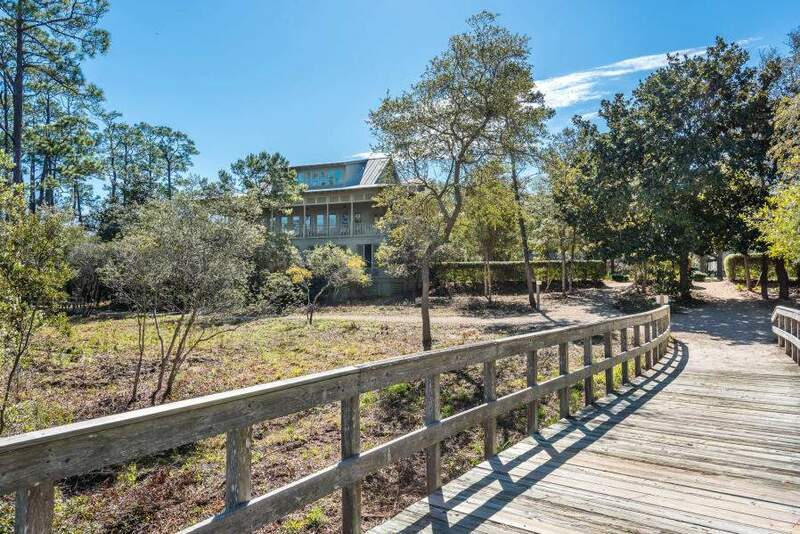 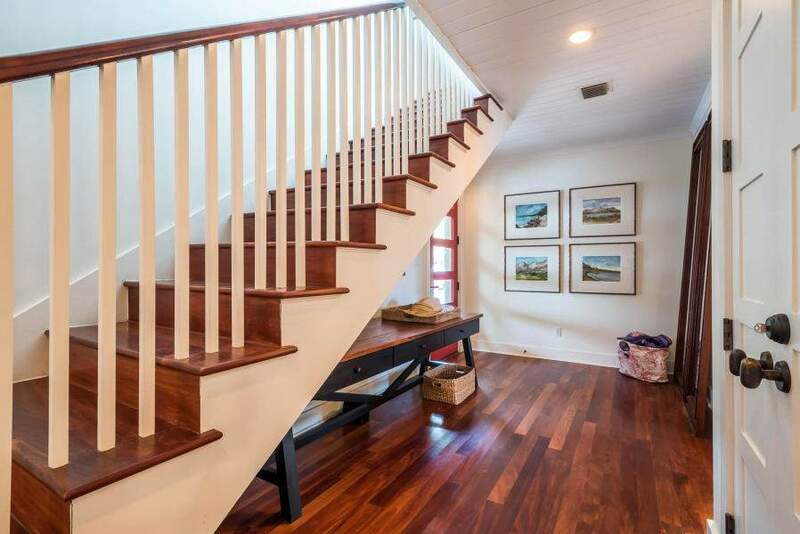 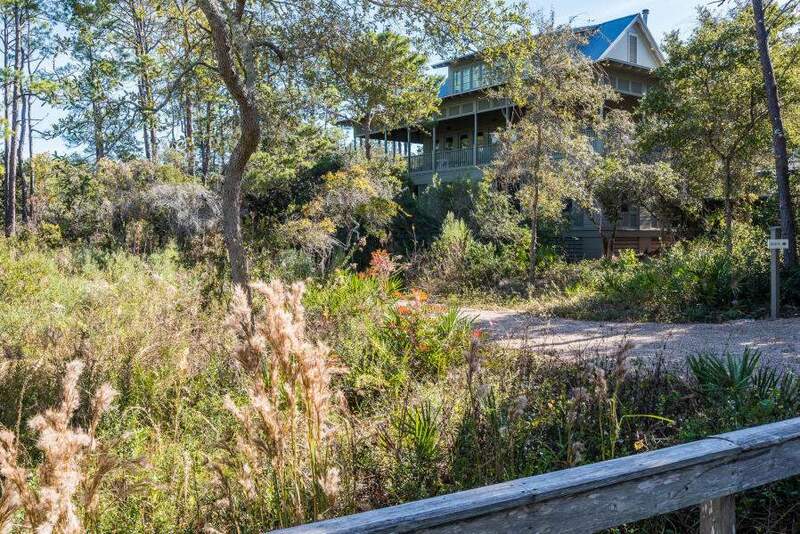 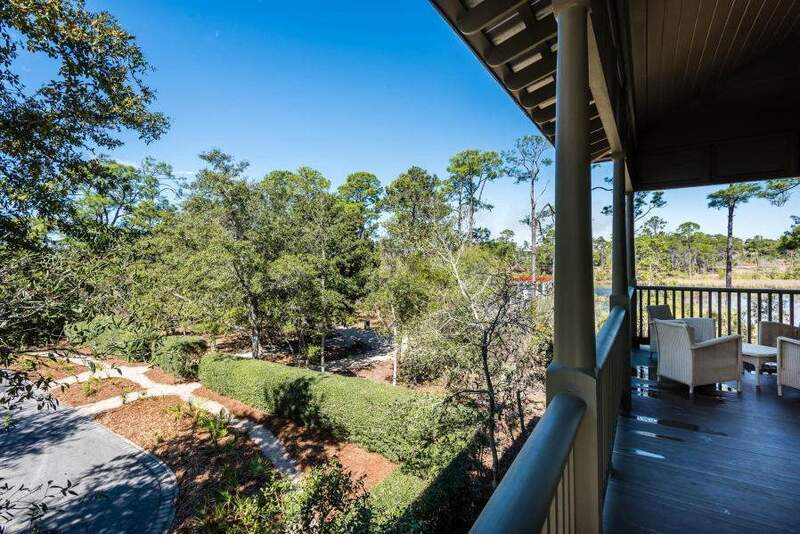 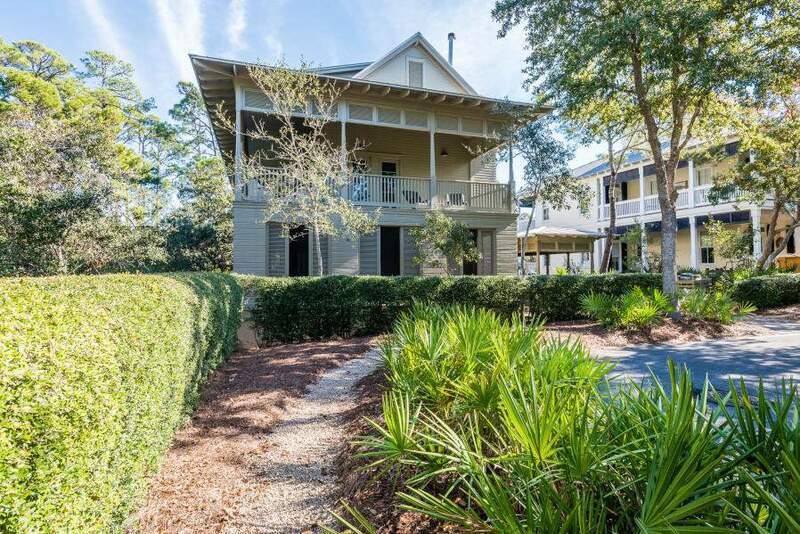 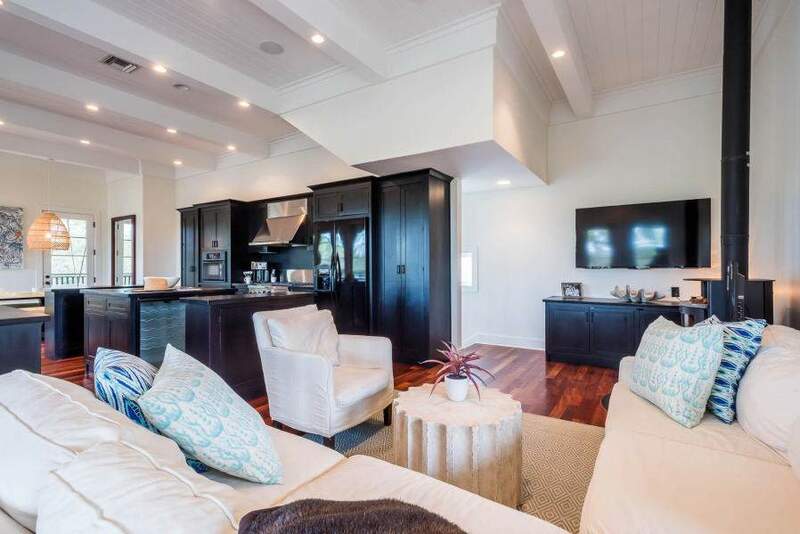 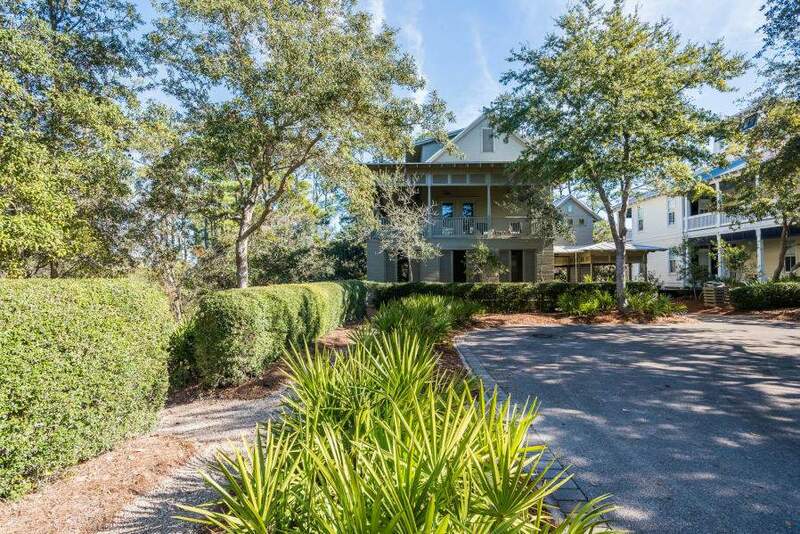 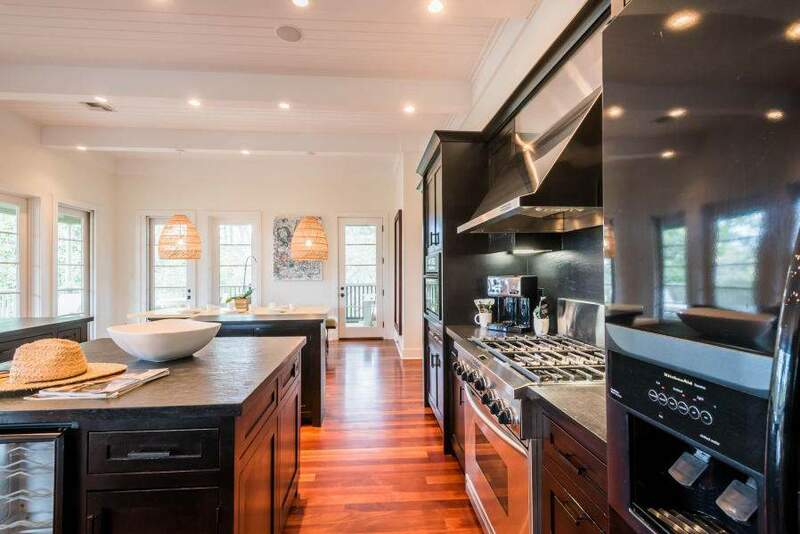 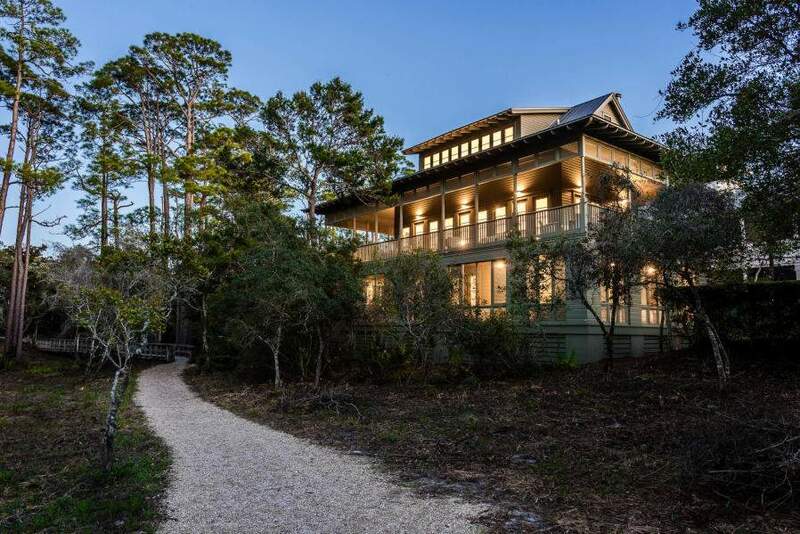 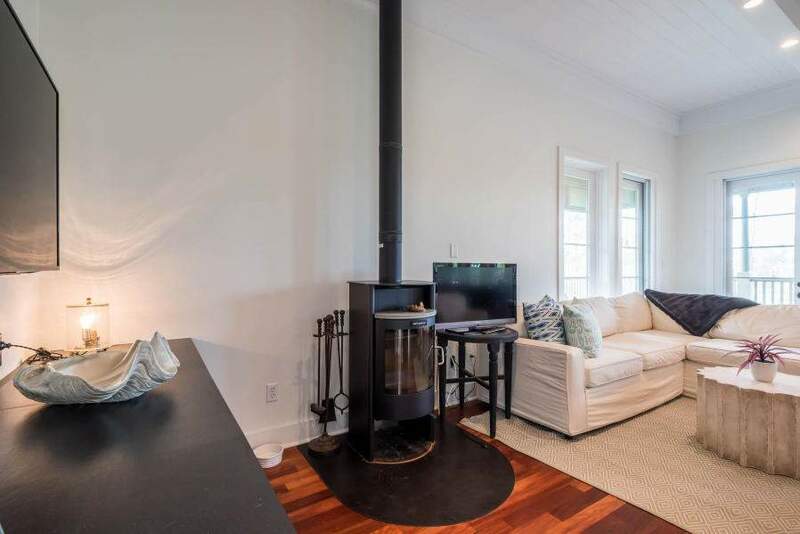 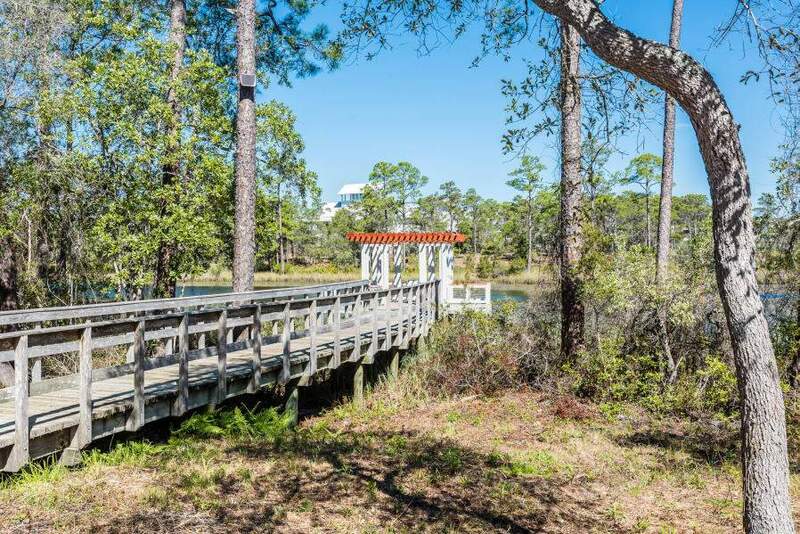 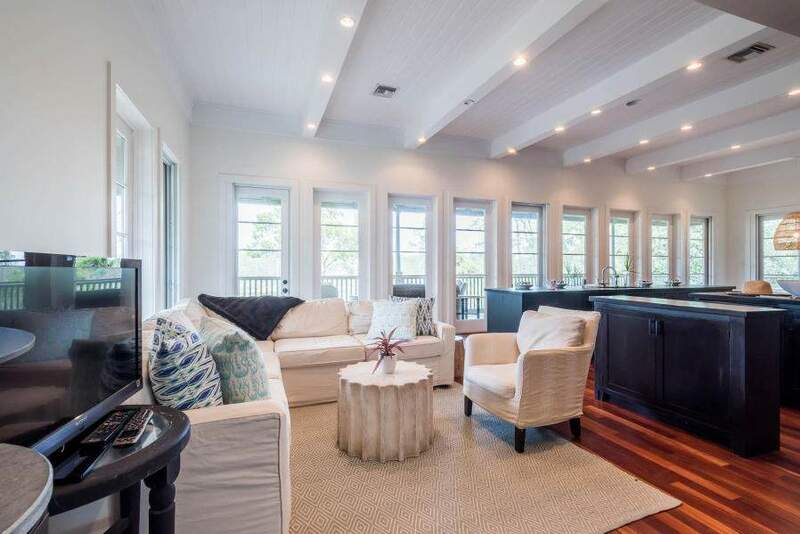 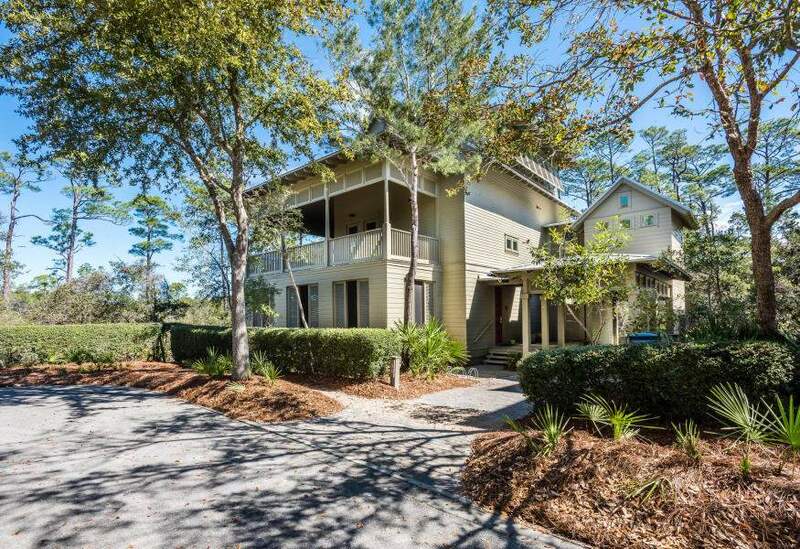 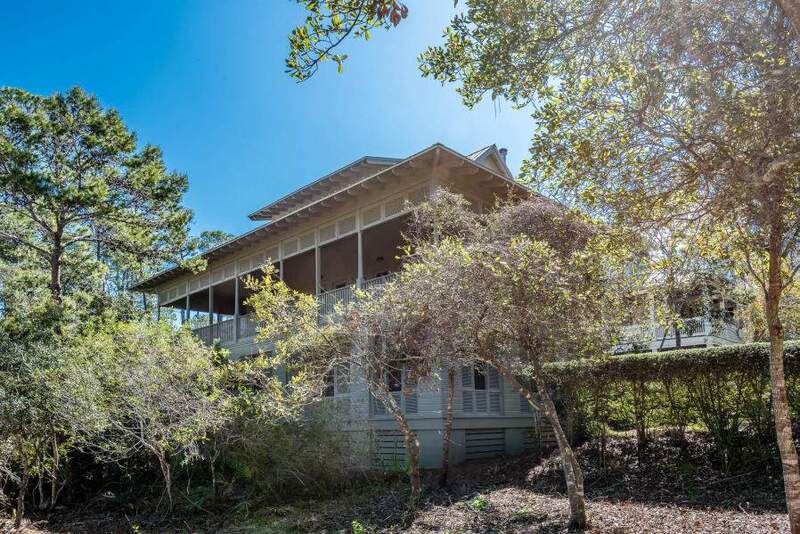 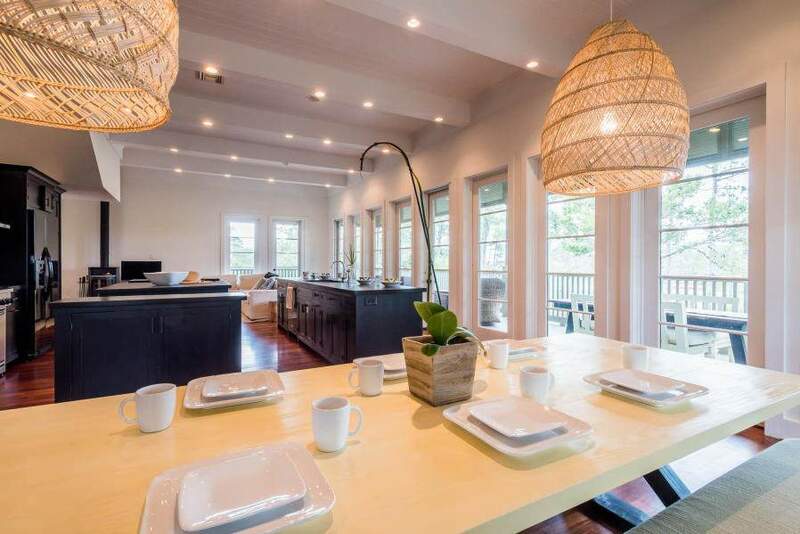 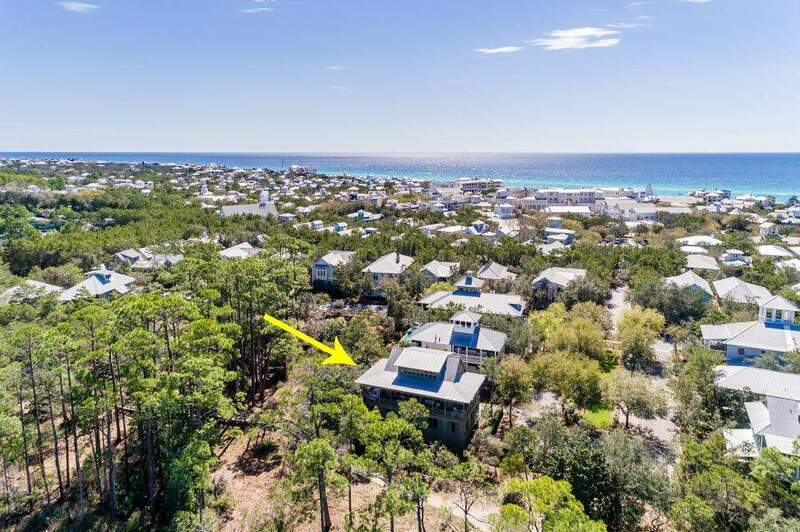 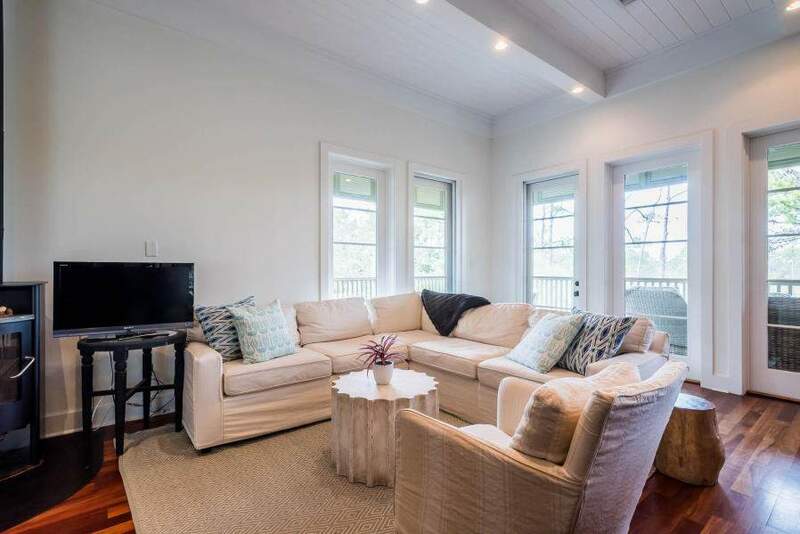 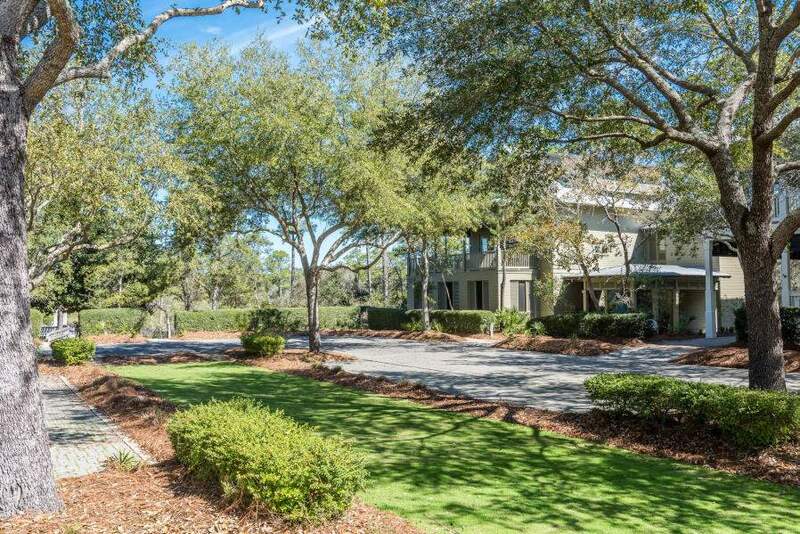 This home is oriented to maximize it’s serene, private setting, yet it is with a close proximity to all amenities in Watercolor, and it is only seconds from Seaside. 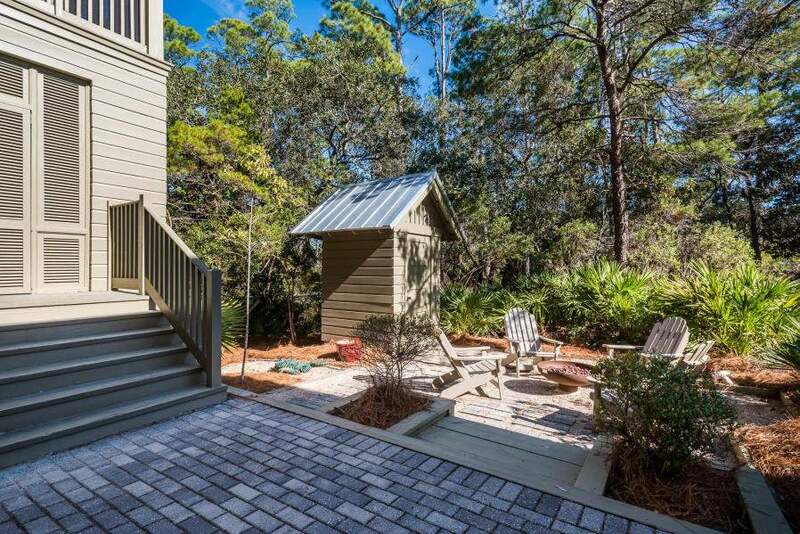 This ideal location offers the luxury of privacy and accessibility, which is nearly unparalleled in Watercolor. 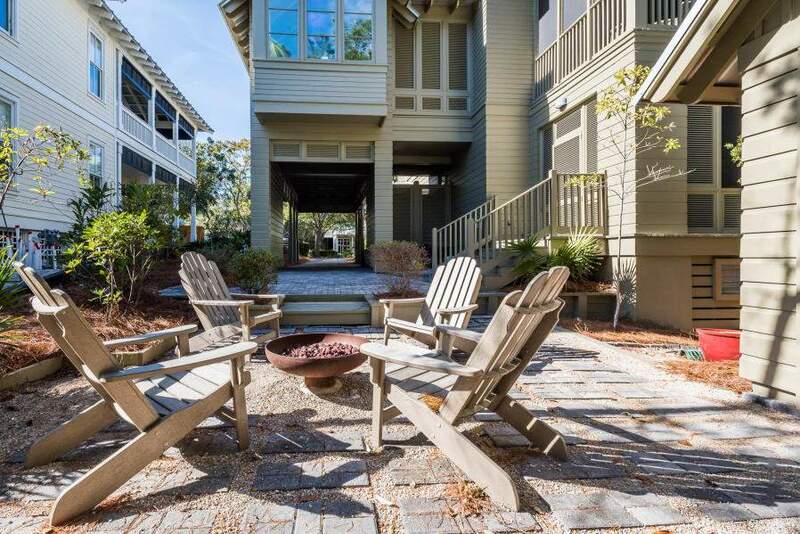 With over 2000 square feet of porches overlooking Western Lake, outdoor entertaining is taken to the next level in Watercolor. 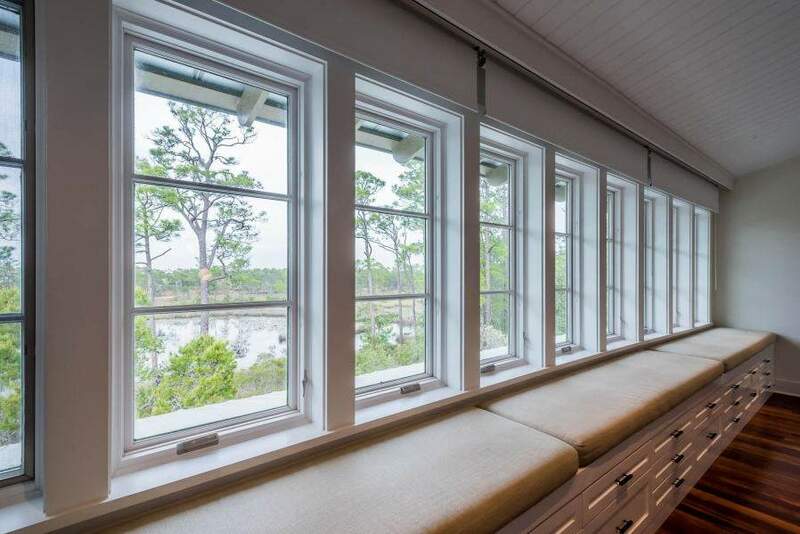 The first floor is fully screened and shuttered for privacy. 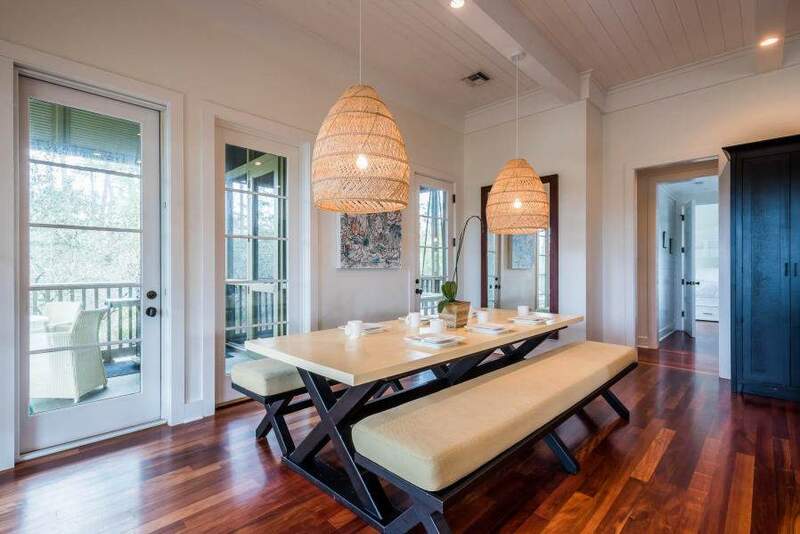 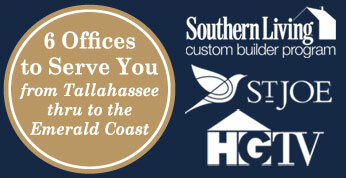 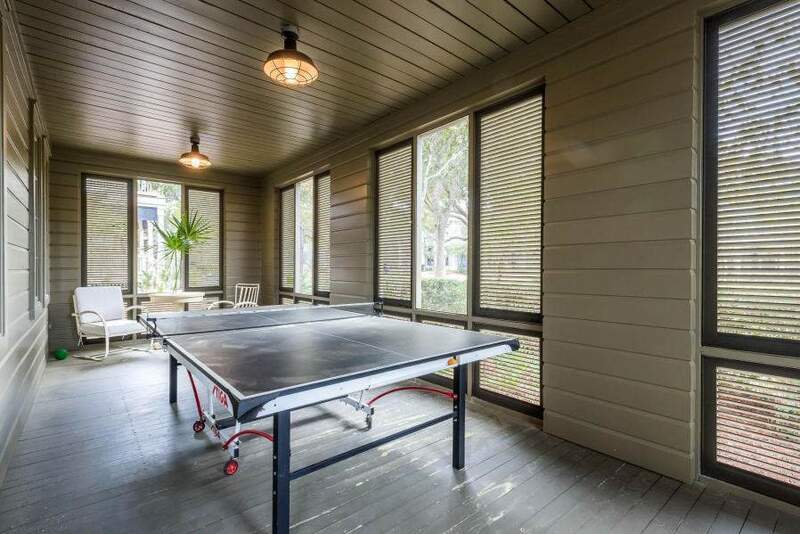 The second floor is open on all sides with custom screened doors and a screened dining area. 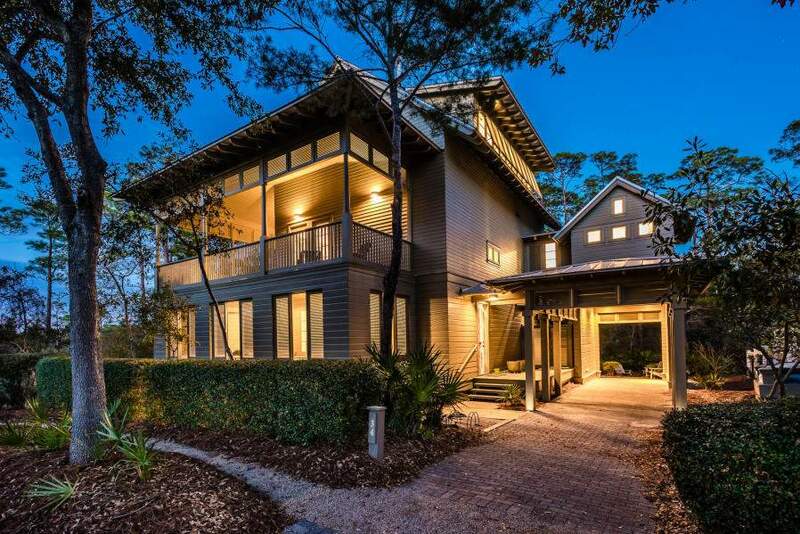 This 5 bedroom, 4 bath home would make a perfect primary residence or a lucrative investment property. 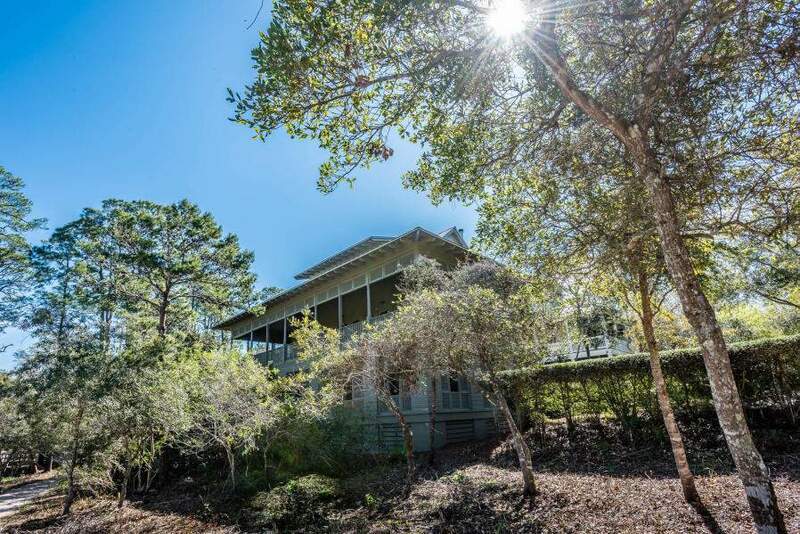 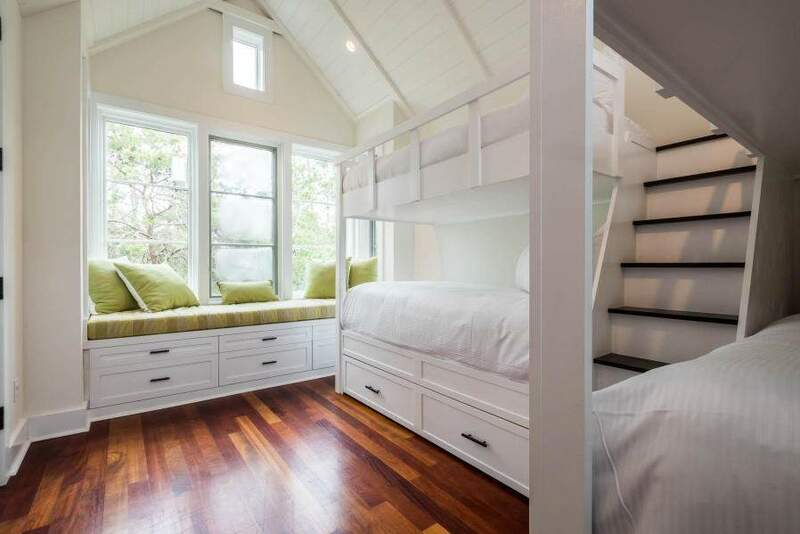 On the first floor there are two spacious bedrooms with an ensuite and separate porch access. 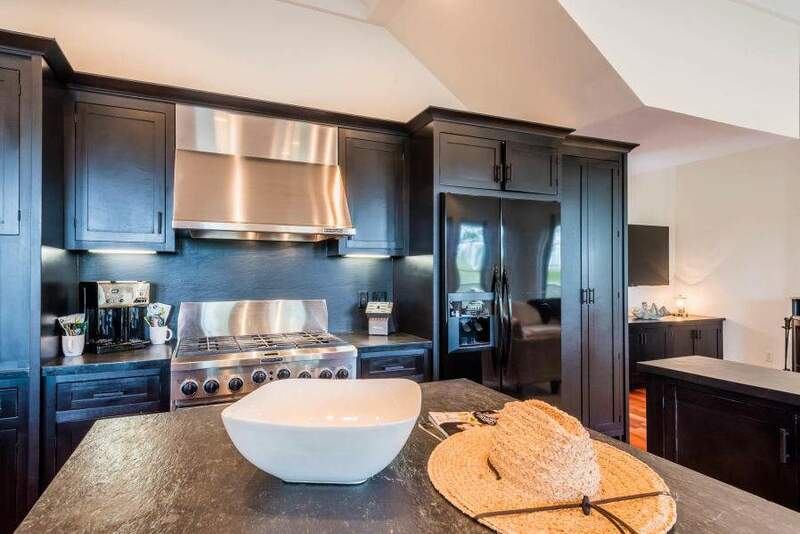 On the second floor, you will find a gourmet kitchen designed for entertaining, including a 6-burner gas range and wine cooler. 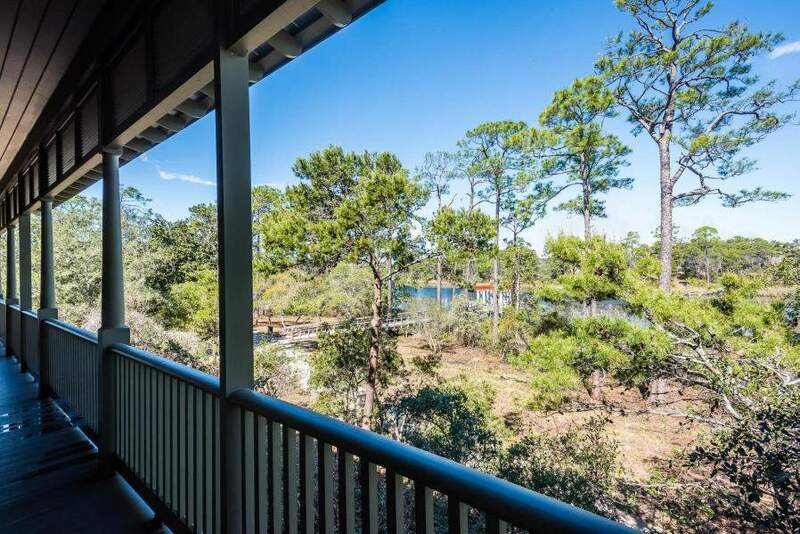 The second level dining and living area are ideal for taking advantage of the breathtaking sunsets over Western Lake. 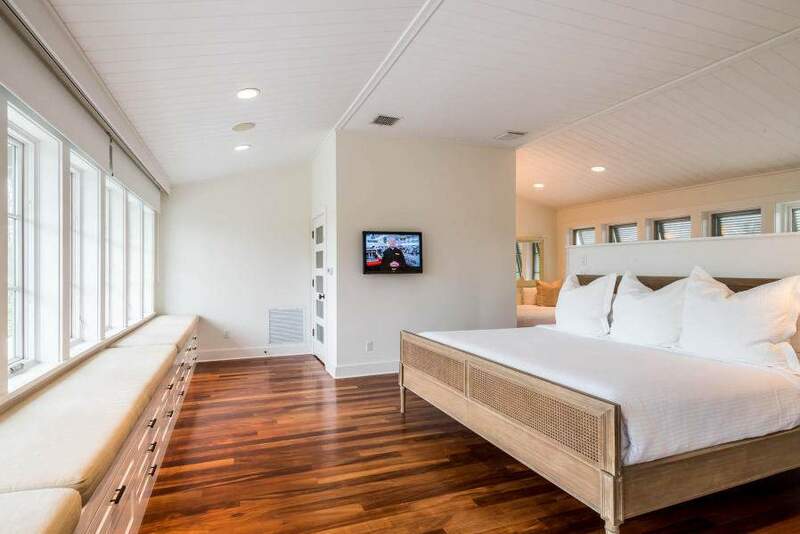 Additional features include a Rais wood-burning fireplace, custom audio and lighting systems and a double bunk room. 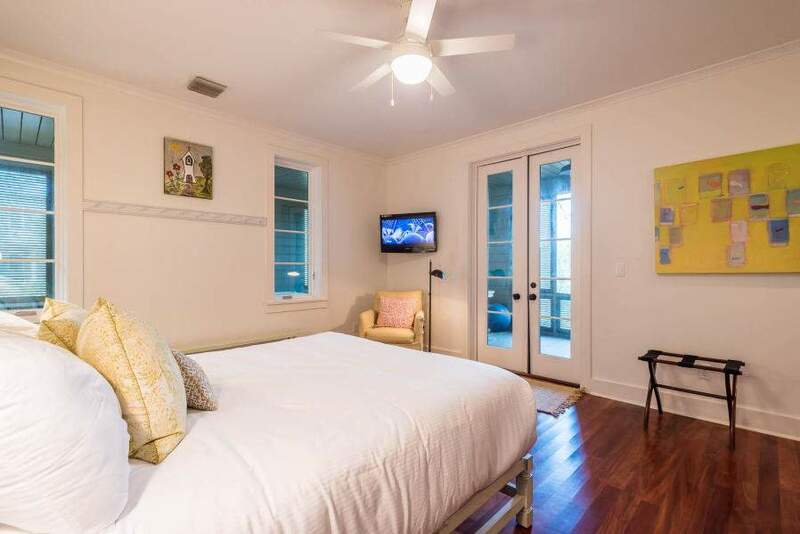 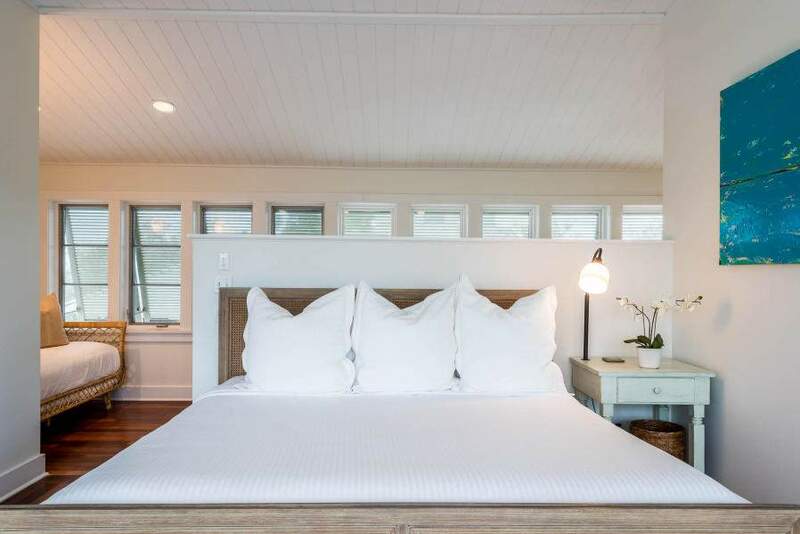 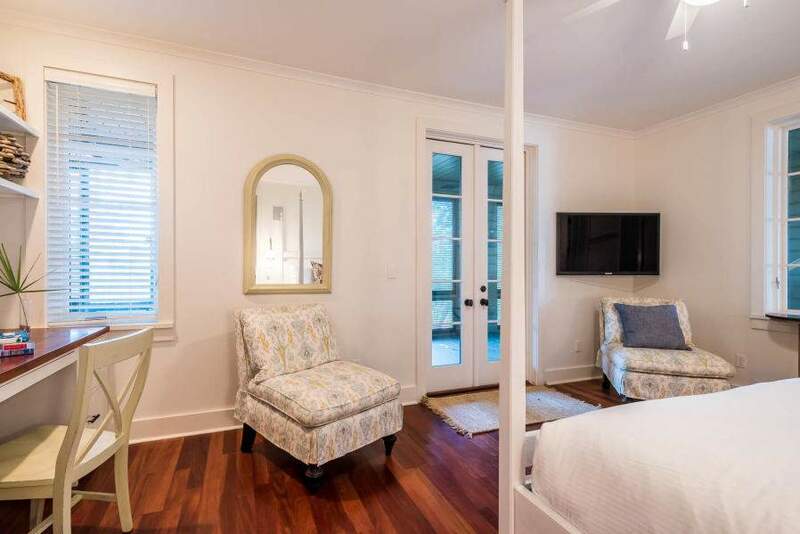 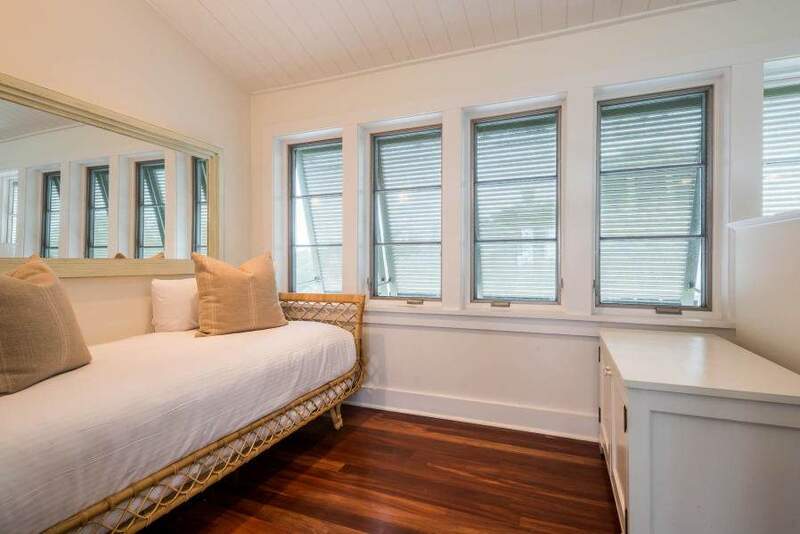 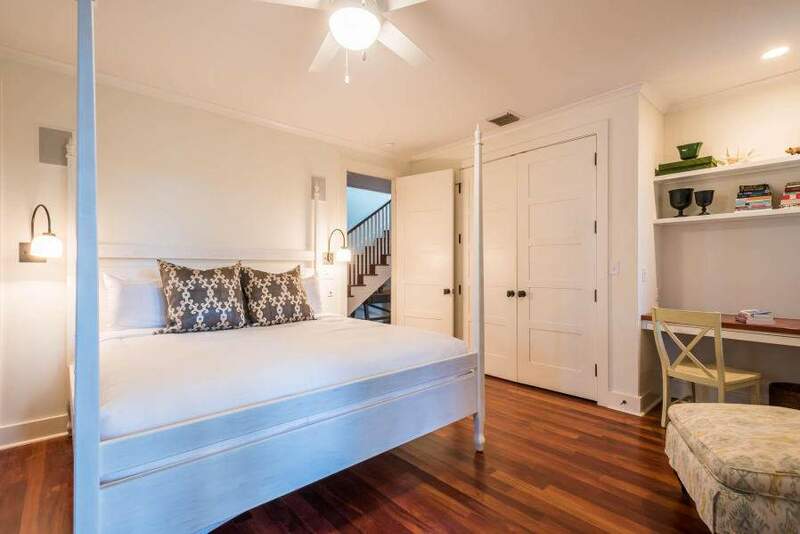 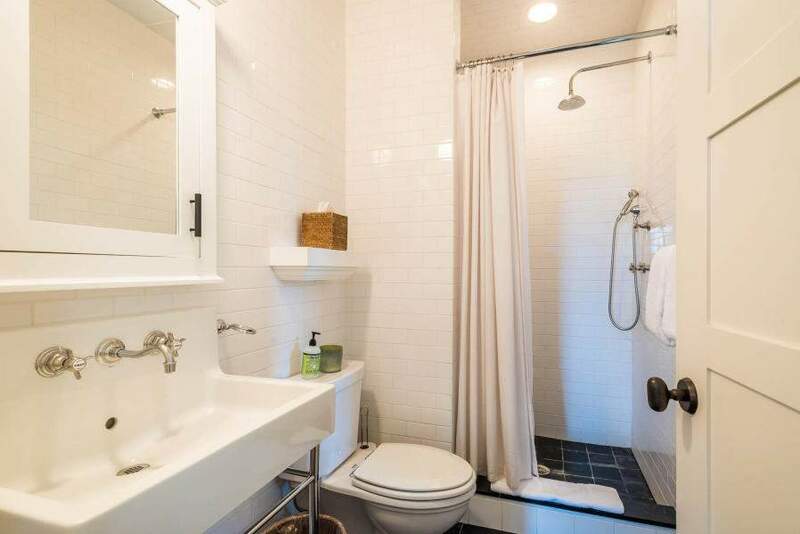 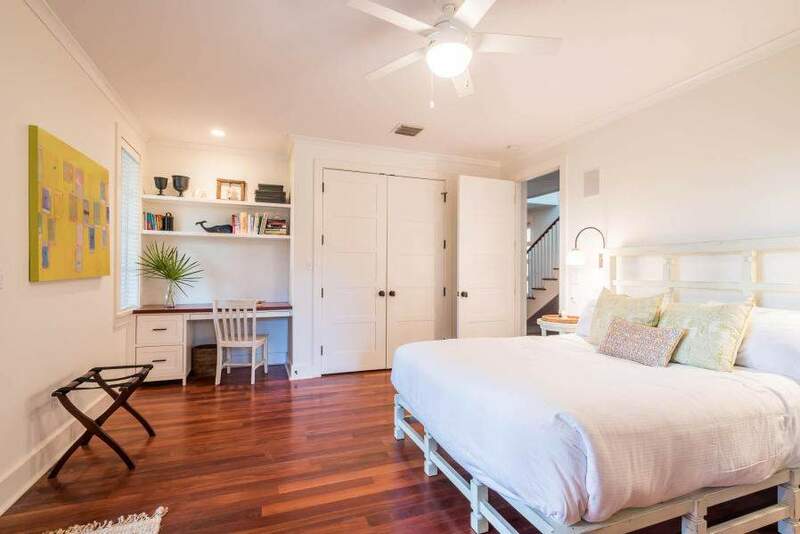 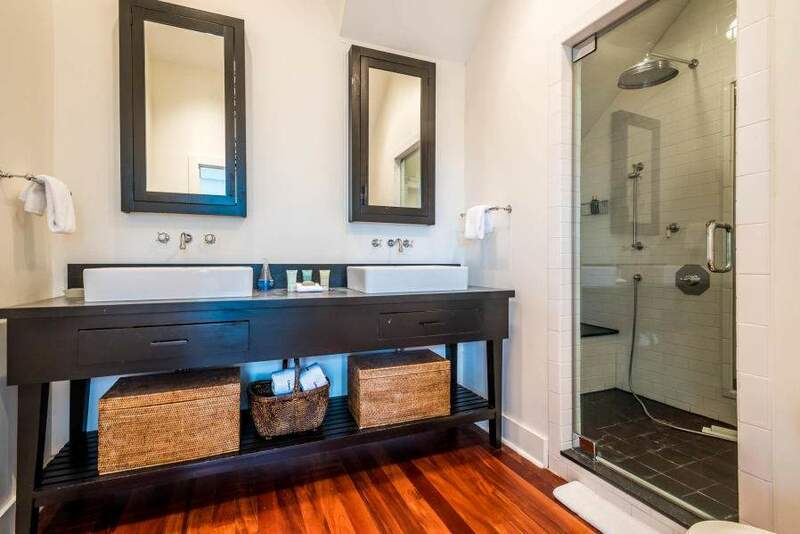 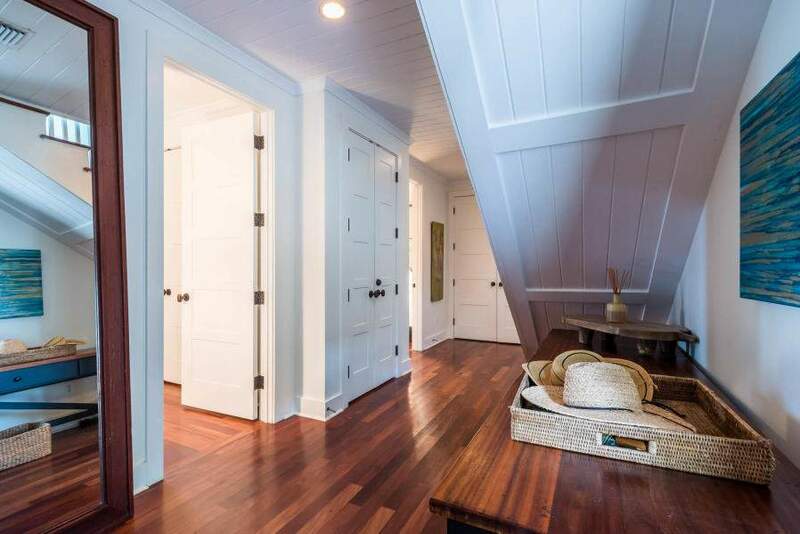 The spacious third floor Owner’s Suite offers a reading nook, dual sinks and shower heads in the master bath and a spacious owner’s closet with attic space. 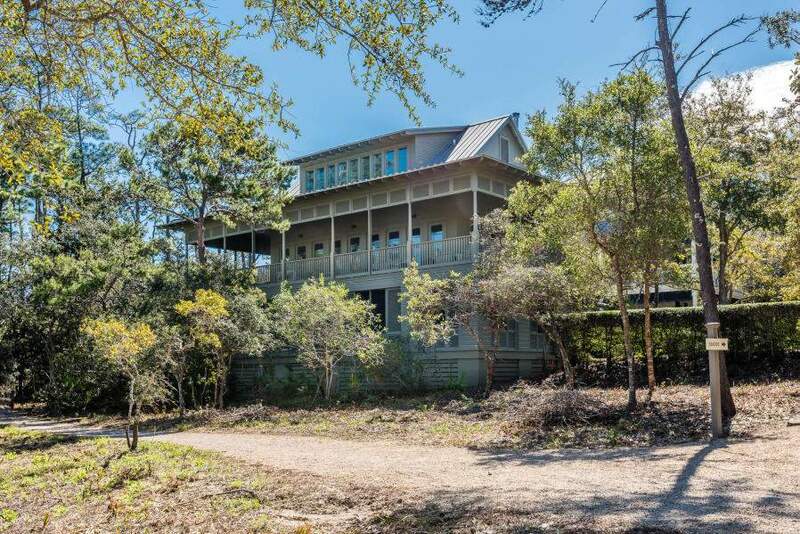 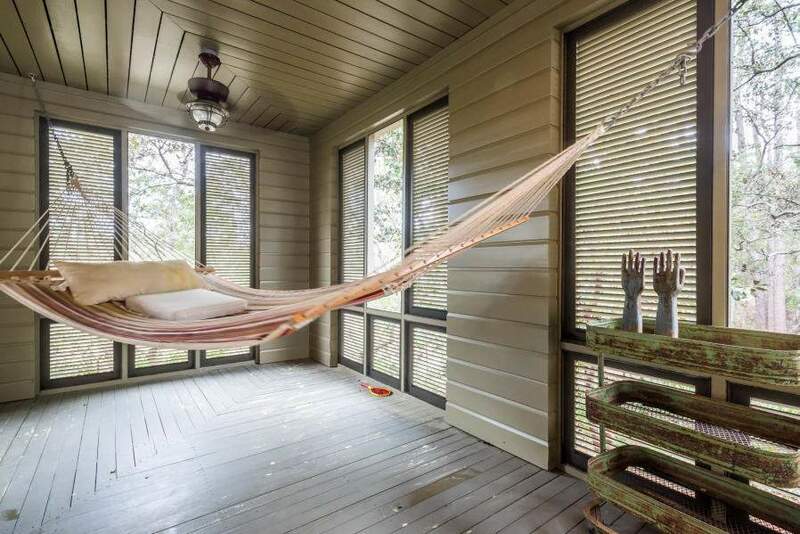 This home offers plenty of storage including a tool room attached to the covered carport and walk-in storage under the house for kayaks or other recreational equipment. 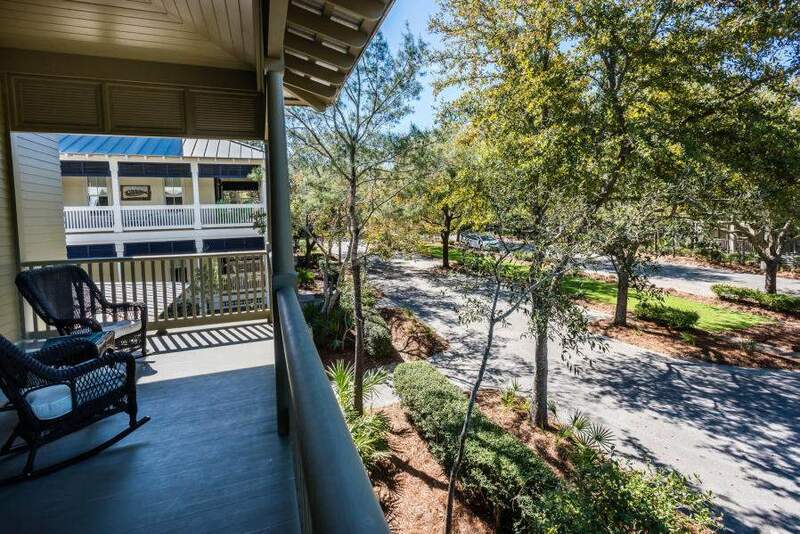 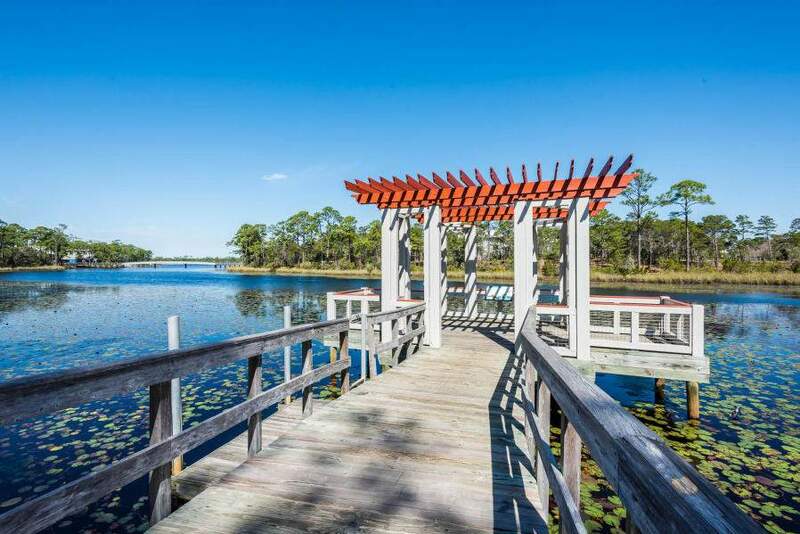 The serene dock and sitting area on Western Lake that are just a few steps from the home are a must see! 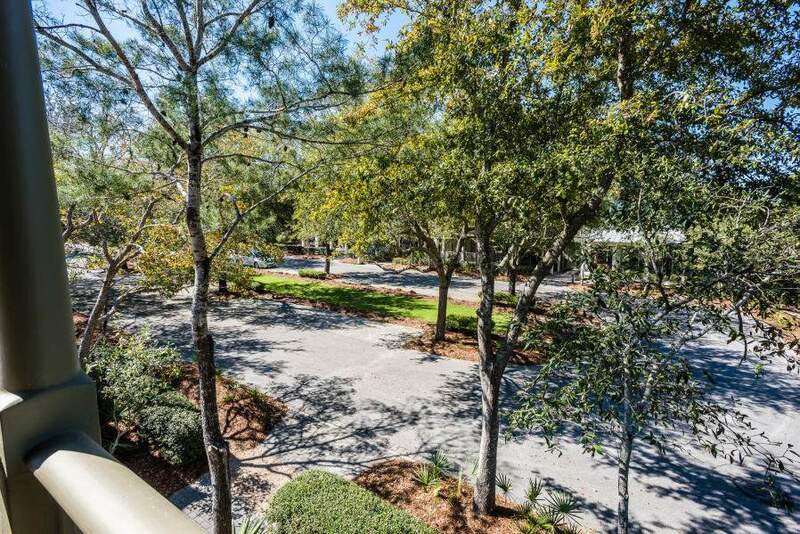 Address: 34 Viridian Park Dr.